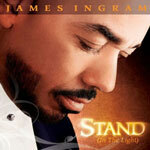 Click here to see James Ingram at the St. Lucia Jazz Festival 2009. Ohio-born R&B singer, composer and keyboard player, James Edward Ingram has died at the age of 66 after a long battle with brain cancer. Quincy Jones quickly chose Ingram to perform both “Just Once” and “One Hundred Ways” on Jones’ upcoming album, “The Dude.” Released in 1980, The Dude was a multi-platinum international success and resulted in three Grammy nominations for Ingram: Best New Artist, Best Pop Male Vocal, and Best R&B Vocal for “One Hundred Ways,” for which he won his first Grammy. 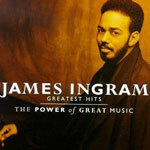 Ingram also made Grammy history when - in his first live performance ever as a singer - he performed “Just Once” as the telecast's opening act and became the first artist to open a Grammy ceremony with a ballad and the only artist to win a Grammy without having his own album in release. The Dude remains the most Grammy-nominated album in history and marked the first of 15 nominations Ingram has received to date. 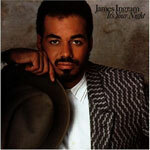 After this stunning debut, Ingram’s much-anticipated 1983 solo album, “It’s Your Night,” surpassed industry expectations. The album was the debut for the Michael McDonald collaboration “Yah Mo Be There,” (Ingram's 2nd Grammy) which was honoured with the Grammy for Best R&B Performance for a Group or Duo, and “There's No Easy Way” was considered one of the year’s standout ballads. It’s Your Night sold nearly one million copies; secured an unprecedented achievement by appearing simultaneously on both The Top 20 Pop and The Top 5 R&B Charts. Ultimately, “Yah Mo Be There” became the most-played song of the year. Ingram’s talents as a songwriter and performer were tapped by some of the most celebrated artists of the era, most prominent was his “P.Y.T. (Pretty Young Thing)” for Michael Jackson’s Thriller (1982), which sold more than 50 million units,. He performed “Baby Come To Me,” with Patti Austin (1984) on her debut album, which went on to become a No. 1 Pop record. 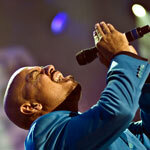 Other chart-topping, Top 10 collaborations include “The Secret Garden,” the No.1 hit with Barry White, Al B. Sure and El Debarge on Quincy Jones' multi-platinum Back on the Block album, (1990). Ingram, as a song writer is timeless he received Grammy recognition for his participation on the song entitled “Good Life,” in the “Best Rap Song” category, performed by Kanye West (featuring T-Pain) in 2007. Hollywood soon called for Ingram’s wide-ranging songwriting and vocal abilities and several hit singles for blockbuster motion and animated pictures followed. “How Do You Keep The Music Playing” - a songwriting collaboration between Michel Legrand and Marilyn and Alan Bergman, performed by Ingram and Patti Austin - was featured in Best Friends (1982) and received a Grammy Award nomination for Best Pop Duo/Group as well as an Academy Award nomination in the Original Song category. Other important contributions to feature films include “Don't Make Me No Never Mind,” co-written with Quincy Jones and Roy Gaines for Steven Spielberg’s The Color Purple (1985), and Ingram’s duet with Anita Baker, “When You Love Someone,” by Bryan Adams, for Forget Paris (1995). ”Somewhere Out There,” performed by Ingram and Linda Ronstadt for Steven Spielberg’s animated American Tail (1986) also received a Grammy for Song of the Year. Then 1993 and 1994 brought Ingram back-to-back Academy Award nominations. His duets with Dolly Parton, “The Day I Fall in Love,” featured in Beethoven 2 (1993), and Anita Baker, “Look What Love Has Done,” the theme song from Junior (1994), were songwriting collaborations with Carole Bayer Sager and recognised in Oscar’s Original Song category. “One Hundred Ways” & “There’s No Easy Way” are two of my favourite ballads of all time. I realised I would never quite reach the emotionally rich delivery Ingram was able to bless these two gems!